It is official. Globe Telecom has announced the launch of the iPhone 4S in the Philippines this December 16. Mark the day- that’s going to be on a Friday. Globe fails to dominate the market for iPhone- hungry Pinoy because Smart Communications will also be opening its door for iPhone 4S and sell this much-awaited gadget on that same day. As early as December 1 of this year, Globe has already been accepting pre-orders for theiPhone 4S. Together with the launch of the latest iPhone gadget, the company will also offer bundled plans with other iPhone devices like the iPhone 3GS and the iPad 2. For those interested to pre-order, you can visit http://iphone4s.globe.com.ph. Since 2005, Globe has been the exclusive seller of iPhone but with the launch of iPhone 4S, Smart is also given the ticket to sell this sought after device. Smart is confident that it’ll beat Globe in the postpaid market with the introduction of iPhone 4S. 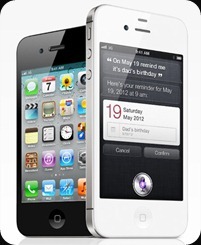 Competition is stiff as both mobile giants will release the iPhone 4S on the same day- December 16. Sun Cellular, which was recently acquired by the Philippine Long Distance Telephone Co. or PLDT, will also be offering iPhone 4S in the future. This is according to Manuel V. Pangilinan, chairperson of Smart communications. Gud eve pips, how can i use my smart roaming sim in iphone 4s in other countries such as uae, i’ve tried to insert or use my roaming to iphone but unfortunately it was not readable…..